As it says in a waiver (which you electronically agree to when entering online); 'the participant acknowledges and agrees that refunds will only be processed, minus an admin fee of $15, up to and including September 1, 2018. After that there is a strict no refund policy, without exception. There are no refunds given for inclement weather, we cannot control the weather on the weekend. Transfers can be enacted (for a $15 fee) up to and including September 1, 2018. All participants must sign a waiver. Read it here. Some of the advertised events and locations may change subject to weather or inconsultation with Parks Victoria and/emergency services. Bouldering outdoors means you'll be outdoors and in the outdoors is the weather. During a standard Victorian Spring the weather can fluctuate wildly but with mean average temps ranging from 7 to 21 degrees chances are it will be very pleasant. That said, you need to pack for hot, cold, windy and raining just in case the Weather Gods are not on our side. What should I definitely not bring? Don't bring your pets – no pooches, no pirates-best-friend-parrots and definitely no cats on leashes. Don't bring your trad rack full of hexes. Don't bring your baggage about your now-gone exes. Don't bring your bad attitude about opposite sexes. Don't bring boom boxes that could power discothequeses. And don't bring no smack talk about how things are better in Texas. But I don't have a mat, can you help me? Yep. When you're bouldering you need a mat. You can get away with one between two but it's really better if everyone has their own. If you haven't got one we have a limited number of mats available for hire ($40 for the weekend). You can reserve one when you buy a ticket. Outdoor bouldering is always at the mercy of the elements. We will do everything in our power to control the weather but our pagan techniques might not work. If the rain is only light showers we will battle on with the Festival as planned. If it is coming down in cats and dogs we will find alternate means of entertainment at the Festival Hub, could be something like chin up comps, pad stacking battles, slacklining, carousing, brooding, plotting, praying etc. Can I have someone make my dinner on friday night for me? 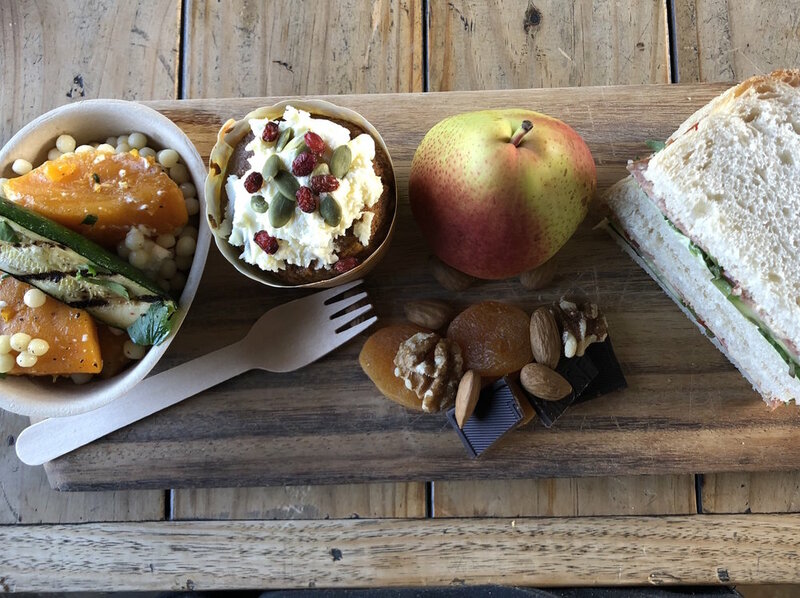 This or something like it could be your lunch – contact Deirdre to organise brekkie or lunch and be the envy of all. Can I have someone make my breakfast and lunch for me? 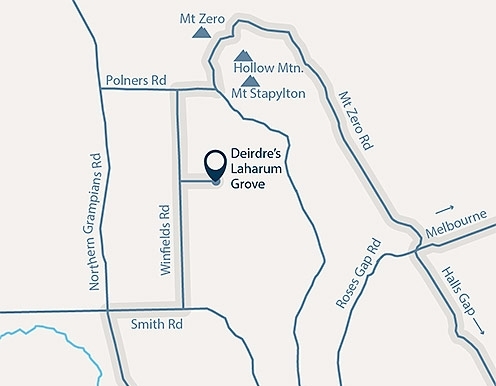 For those wanting to be fully looked after for the weekend, you can organise a delicious breakfast and packed lunch (much better than anything your mum or dad ever made) from Deirdre's restaurant at Laharum Grove. Can I buy a coffee in the morning? What amenities are at laharum grove? The Festival Hub at Laharum Grove will have fresh drinking water supplied as well as portable toilets. There's plenty of flat camping sites for everyone amidst the olive grove. Apart from a communal bonfire (conditions dependent), the camping is fuel-stove only. Most importantly, on Saturday and Sunday mornings coffee will be available to buy from the LiveFast Coffee Cruiser. Nope, we will all be getting our camp on together! That said we do encourage boulderers to take a Pommy Shower (aka to whack a little deodorant under the arms). What's the deal with the competition Areas: Andersens vs Trackside? During the comp the field will be split into two separate areas rather than having everyone in the same spot. This is to avoid congestion and ease the impact on each area. When you buy your ticket you can choose to spend your morning either at Andersens around Hollow Mountain or at Trackside in the Amphitheatre. After lunch people will then swap areas, with everyone at Andersens moving to Trackside and vice versa. Everyone will get a chance to thrash themselves in both areas. So, before you buy your ticket make sure that you've spoken to your friends about which session area they are visiting at what time – places are allocated on a first-come, first-serve basis. are there gender categories in the competition? Nope. We are not going to separate competitors into Men's and Women's categories for the comp on Saturday. We reckon that given the comp is self-seeding, that you can climb whatever problems you want (meaning the setting can't be too morpho) and that there is no difference between a man climbing a V5 and a women climbing a V5 that we can boulder together. We hope it works out as we think it is the right thing to do. Please let us know what you think, we really do care. Can I buy a copy of the Grampians Bouldering guidebook at the festival? Yep, cash sales of the guide will be available at the Festival Hub. There are no EFTPOS facilities on-site so bring cash. You can also get a discounted copy when you buy your tickets. I don't want to compete in the comp on saturday, can I still come? Yep, whilst we strongly encourage everyone to participate in the comp because we are dead keen on participation, it is only a part of the Festival. It is designed so that everyone can take part no matter their ability but if you're not into it you can boulder at your own leisure or cheer on the competitors. are there prizes for the comp? YEOW! Yep, you can win bouldering awesomeness. In addition to being the best in your category we are giving away prizes for the person who climbs the most, the person whose tips are the most shredded on Saturday night and for the person who wears the best fancy dress outfit during the comp. Winning! I don't want to compete in a team during the comp? No problem, you are more than welcome to fly solo in the comp, no one has to enter as a team. I don't want to sign up for a clinic on sunday or all the clinics are full, can I still come? Yep, like the comp the clinics are only a part of the Festival. If you're not into them or all the places are full then you can join the group bouldering session, get a first look at our Font-style circuits or simply boulder at your leisure. can I sign up for a clinic on the day if I am not attending the festival? Yep, in fact there are prizes for the best bouldering action shot and the best lifestyle shot. After the weekend you can submit your best snaps to us and our mate and photography superstar Kamil Sustiak will choose the winners. Shoot away to win Black Diamond bouldering awesomeness! What happens in i get injured? Please notify an event marshal or volunteer straight away so we can get the relevant first aid to you. If there are no officials or volunteers around you call the Festival Directors whose numbers are on your competition entry and in the Festival Program. Please make sure you notify event staff if you pull out of the Festival due to injury or feeling unwell so we don’t use up resources in looking for you. If you are a boulderer and you find someone injured, notify an event marshal or volunteer straight away so we can get the relevant first aid to them. If there are no officials or volunteers around you call the Festival Directors whose numbers are on your competition entry and in the Festival Program. should I get ambulance coverage? Yes. This is not a complicated question. Accidents happen, get ambulance cover. Yep, we like the little folk. Little tykes aged four and under are free (though they do not get their own dinner on Saturday night). Kids aged between five and 12 cost $40 – NOTE this includes dinner and accommodation but not a goodie bag, t-shirt entry to the competition or a spot in a clinic. If you're 13 or older, we consider you an adult-in-waiting, likely growing like a weed, and you need to buy a full price ticket – we only have adult-sized tees so you'll have to grow into them! Please bring your small people – in the right environment they will grow into strong boulderers and we are into that. Please note that all kids under 18 must be accompanied by a parent or guardian. 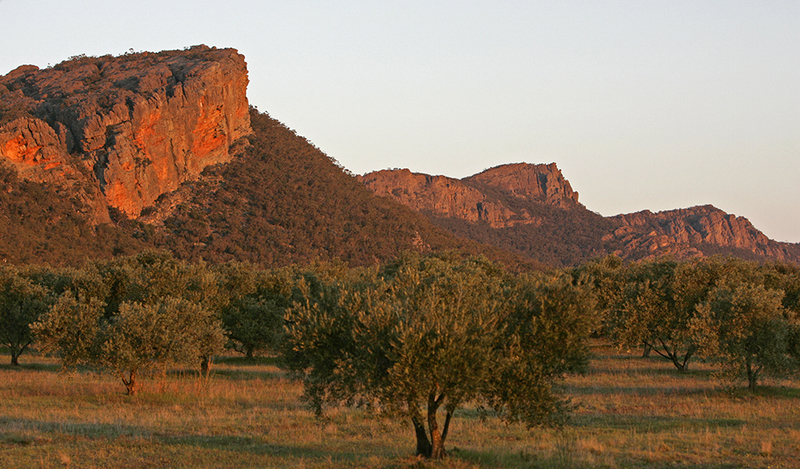 what is the grampians like in the spring? In the two indigenous language groups of the peoples of the Grampians – Djapwurrong and Jardwadjali – October falls in Petyan, the season of the wildflowers. Lasting from September to mid-November, the season is depicted by bird eggs, wildflowers and great meetings. There were great gatherings of Aboriginal bands of up to 1000 people for settling legal conflicts, singing and dancing corroborees, wrestling and boomerang throwing competitions, football games, trade, seeking partners for marriage. The Grampians are exploding in bloom. Many orchids and lily are in flower, including leopard orchids, hare orchids, pink fingers and nodding blue lilies. Trees like the silver banksia, yellow box and silver wattles are in flower as are shrubs and grasses including parrot peas, mint bush, bauera, tetratheca and christmas mint bush. Fringe lilies, tall sundews, grass trigger plants, grass trees and kangaroo grass flowering. With the boom come butterflies, wanderer, common brown, caper white and wood white butterflies are flitting everywhere. Bees swarm, hover flies visit guinea flowers, cicadas emerge, leaving pupa case on tree trunks, the first termites take wing, red ichneumon wasps are commonly about and moths and beetles orbit lights. Sawfly grubs have grown fat and caterpillars chomp through eucalyptus leaves. Snakes and skinks become active and can often be seen rousing themselves from their long slumber by basking in the sun. Courtship amongst the mammals of the Grampians is in full swing and many are breeding. Ring-tailed possums ferry their young about, baby koalas leave the pouch at approximately seven months old. Bandicoots dig for grubs and echidnas dig for ants, dotting the ground with fresh holes. Young boulderers are often seen holding hands under the shade of a cherry pine tree. The bush is filled with the soundtrack of courting birds, frogs and insects. Olive-backed orioles are calling, cuckoo shrikes are feeding on caterpillars. Grey butcher birds, superb fairy wrens, currawongs are breeding and nesting. Wood swallows, fly catchers, trillers rufous fantails and rainbow bee-eaters are returning south. How do i get to laharum grove? i don't have a car, can you help? We encourage everyone to carpool to the Grampians if they can. Let us know that you are having a drama and we will try to help you out but putting you in touch with those who do have a car. At the Festival Hub at Laharum Grove there will be ample car parking. Just follow the signs and directions when you rock up and park where directed. For those who have taken to #vanlife you'll be able to park up.